The season started on a rough note, as coach Steve Haderlein patiently put together a young and inexperienced team that would often shoot high scores. And while they’re not exactly where he wants them, the La Salle coach has seen remarkable improvement over the past month. The Lancers continued their ascent on Tuesday with a 291-311 victory over Westridge at Brookside Golf Course, and clinched a 20-stroke win. Makenna Hicks shots a team-low 49. 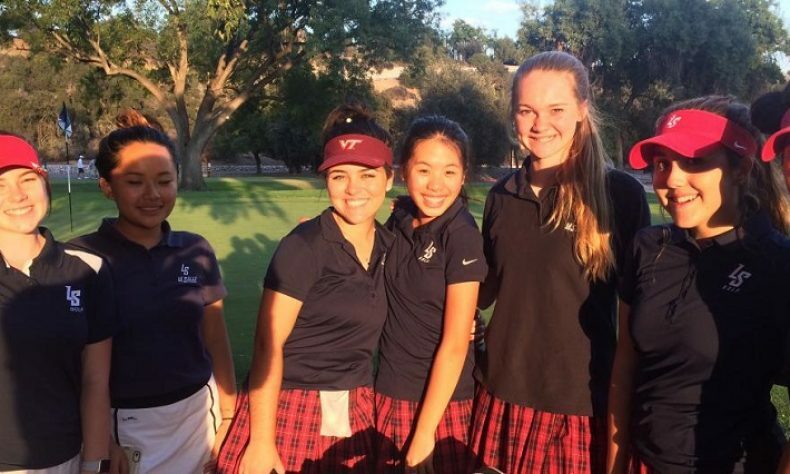 Sarah Day finished with a 57, while Victoria Tong, Asia Aragon and Josephine Lo all shot 62′s for the Lancers (4-7 overall, 1-2 in league). “I’m thrilled for the kids. They played a solid Westridge team on a hot day and posted one of their best (team) scores of the year. It was a real team effort,” Haderlein said.